Universal Fit, Steel, Natural, 2.50" Tube O.D. Includes (2) 2-1/2" 180° u-bends, (2) 2-1/2" 90° bends, (4) steel clamps. 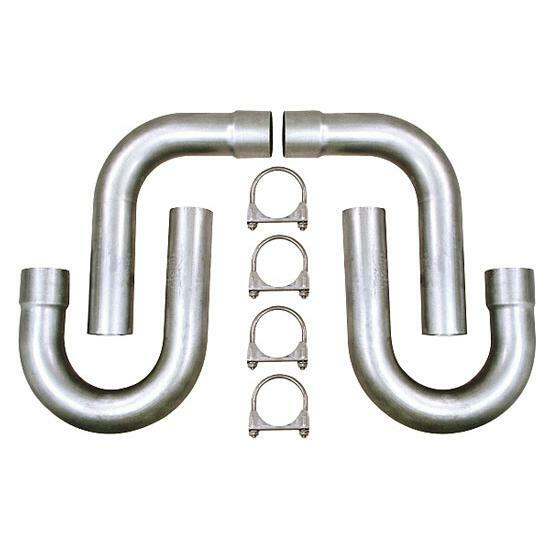 We all know what a pain it can be to hook up a set of side pipes or find tight bends for a one-off project. May require fabrication to fit your application. U Bend- 12.5" x 9.5"
L Bend- 12" x 10"